Our St. Louis office will be hosting a Wills vs. 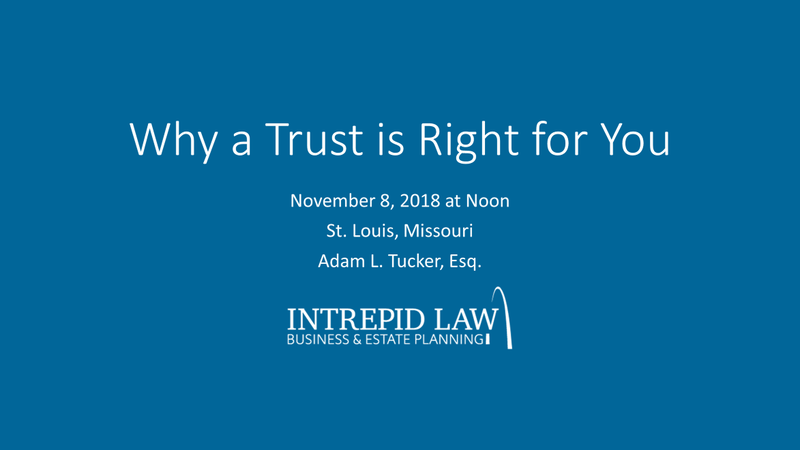 Trusts Lunch and Learn on November 8th with Tim Diomis of Edward Jones. If you would like to attend please email us at info@intrepidlaw.com.